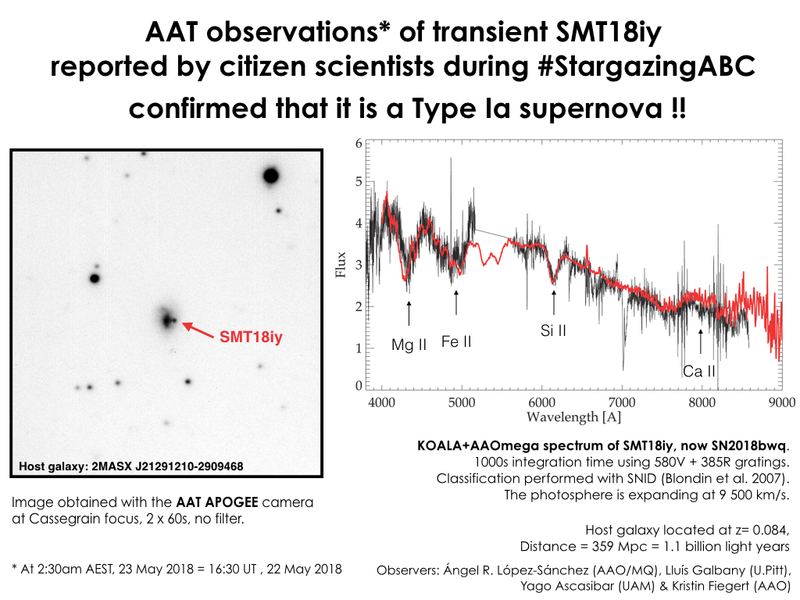 This is the object we observed at the Anglo-Australian Telescope as part of the “Stargazing Live” events at Siding Spring Observatory (NSW, Australia). We used the APOGEE camera at the AAT Cassegrain focus and took some short exposures in several broad-band filters (B, V, R and I). The planetary nebular NGC 5189 is located in the constellation of Musca (“The Fly”), near the South Celestial Pole. The distance to NGC 5189 is around 1780 light-years from Earth, as measured in 2008. It shows one of the more remarkable complex morphologies among all the known planetary nebulae, with many structures at different scales, indicating that the progenitor star experienced multiple outbursts. 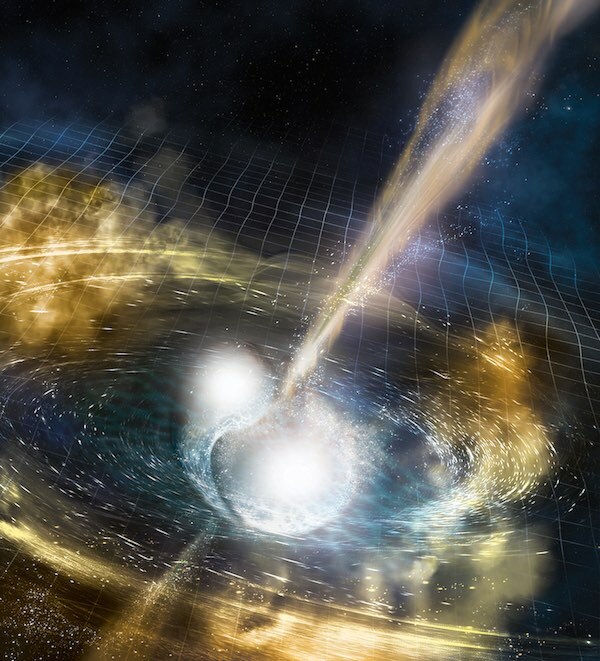 Each outburst had different velocities, inducing shock-waves in the surrounding gas. The central star is classified as Wolf-Rayet-type [WR] because it is very hot, it shows intense features of helium, carbon and oxygen, and it has very high stellar winds. The most massive stars undergo the Wolf-Rayet (WR) phase before exploding as supernova, but the central stars of ~10% of planetary nebula also show Wolf-Rayet-type features. 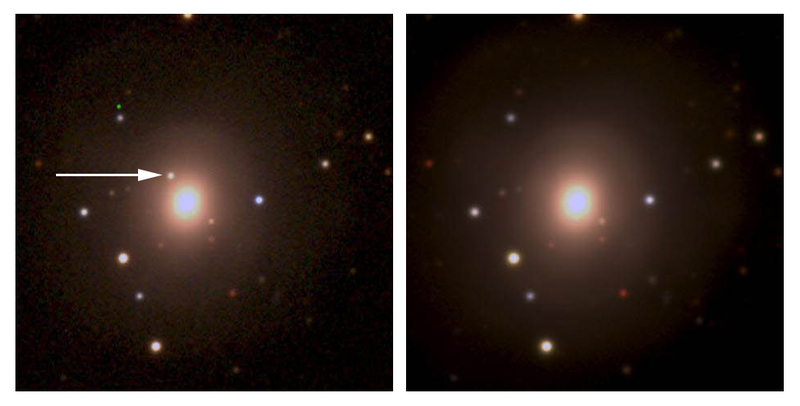 The Wolf-Rayet-type stars in planetary nebulae are much older objects than the “standard” WR stars, as they descend from evolved low-mass stars and not from high-mass stars. That is why Wolf-Rayet-type stars in planetary nebula are named [WR]. Wolf-Rayet-type stars are closely related to white dwarf stars. The central Wolf-Rayet-type star in NGC 5189 is a very rare, low-mass (about the mass of the Sun) WO (oxygen-rich) star. Its temperature is 165 000 K and its stellar wind moves at 2500 km/s. The Wolf-Rayet-type star in NGC 5189 has a companion star of around 0.8 times the mass of our Sun. It needs 4 days to complete an orbit around the [WR] star, as discovered in 2015. 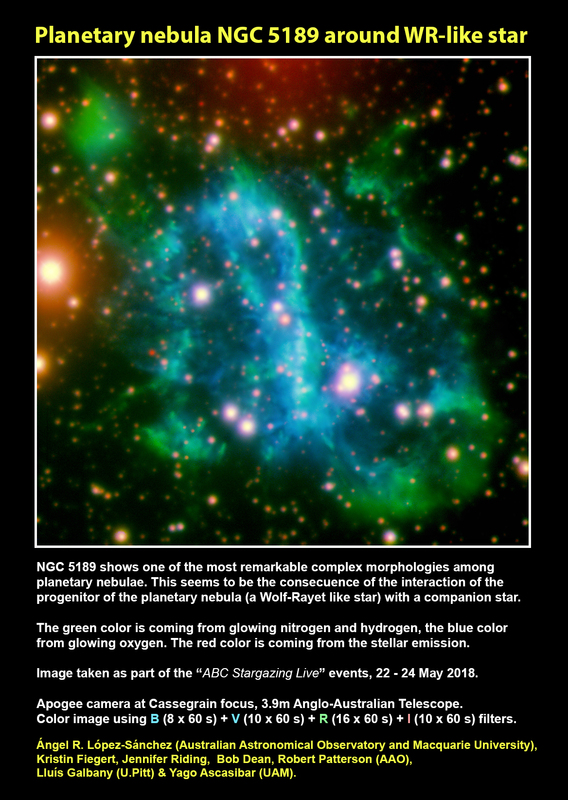 The complex morphology in NGC 5189 seems to be consequence of the interaction between the progenitor of the Wolf-Rayet-type star and its companion star. This is BIG. 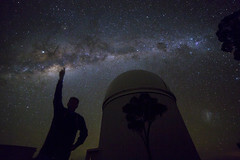 Australian astronomers have tried for almost 2 decades to be part of the European Southern Observatory (ESO). Yesterday, 11th July 2017, at a ceremony happening during the Annual Meeting of the Astronomical Society of Australia (ASA) in Canberra, Australia, ESO’s Director General, Tim de Zeeuw, and the Australian Minister for Industry, Innovation and Science, Arthur Sinodinos, signed a 10 years Strategic Partnership between Australia and ESO. 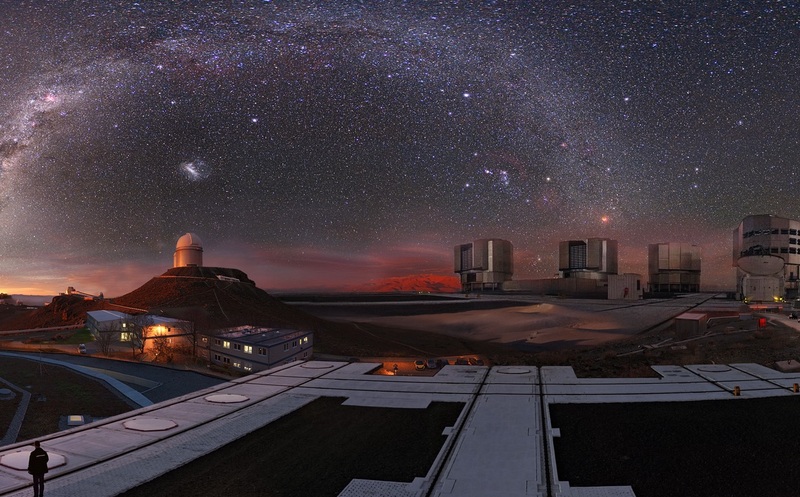 Image composition showing all the ESO observatories and the Headquarters. Credit: ESO/M. Kornmesser. 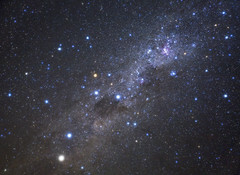 Following the ESO-Australia Strategic Agreement, Australian astronomers (including me!) 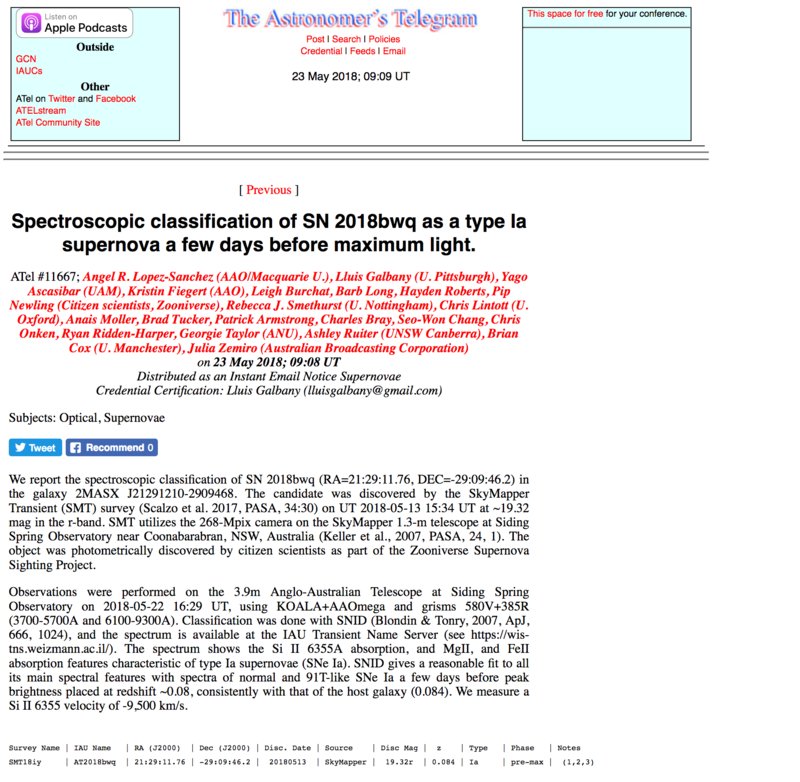 will have access to telescope time at La Silla and Paranal Observatories in Chile. The ESO-Australia Strategic Agreement also provides crucial opportunities for Australian influence and technical and scientific input, stimulating international research and industry collaborations. 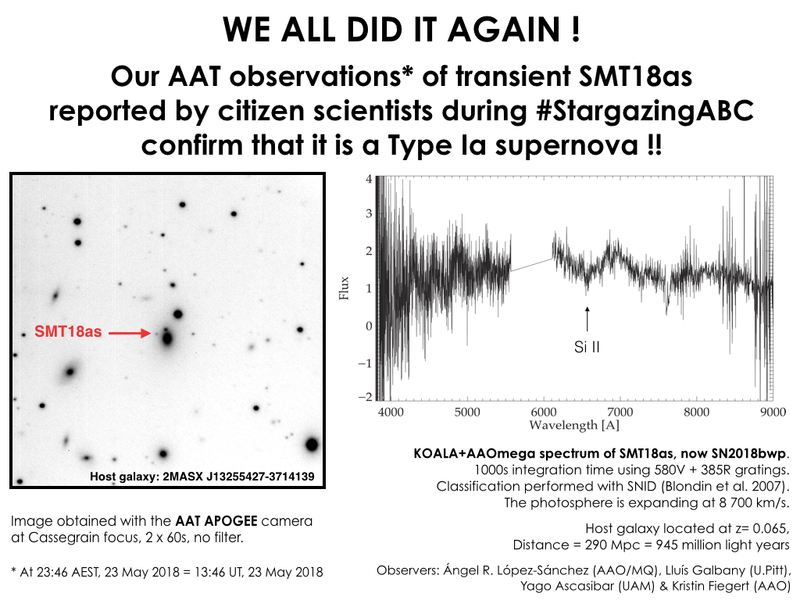 This is particularly important for the Australian Astronomical Observatory (AAO), as we are developing key instrumentation for ESO (as the ESOP positioner for the VISTA telescope), and that was a key part of the deal, with new opportunities to develop further telescope instrumentation in the nearby future. That also means an important re-arrangement within the AAO, which details are still unknown, but in which we’ll give our best. This picture shows all the signatories of the arrangement. 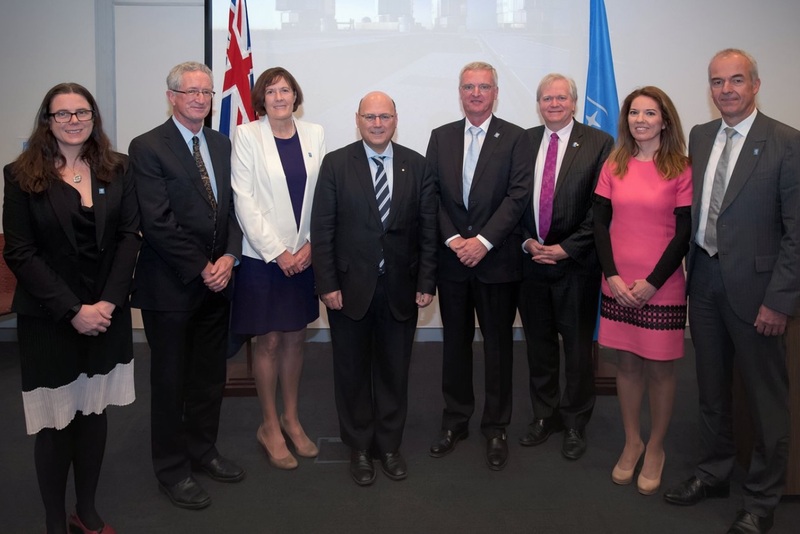 From left to right: Virginia Kilborn, President of the Astronomical Society of Australia, Warrick Couch, Director of the Australian Astronomical Observatory, Sue Weston, Deputy Secretary, Department of Industry, Innovation and Science, Senator the Hon Arthur Sinodinos, Minister for Industry, Innovation and Science, Tim de Zeeuw, ESO Director General, Brian Schmidt, Vice Chancellor of the Australian National University, Laura Comendador, Head of the ESO Cabinet and Patrick Geeraert, ESO Director of Administration. Credit: Australian Government. The Australian Government will invest $129 million over 10 years in the partnership, including the $26.1 million already announced for 2017-2018 Australian Budget. This may also be the first step towards Australia becoming an ESO Member State. AAO Media Release: Australia enters Strategic Partnership with ESO, 9 May 2017. ESO Organisation Release: Australia Enters Strategic Partnership with ESO, 11 July 2017. 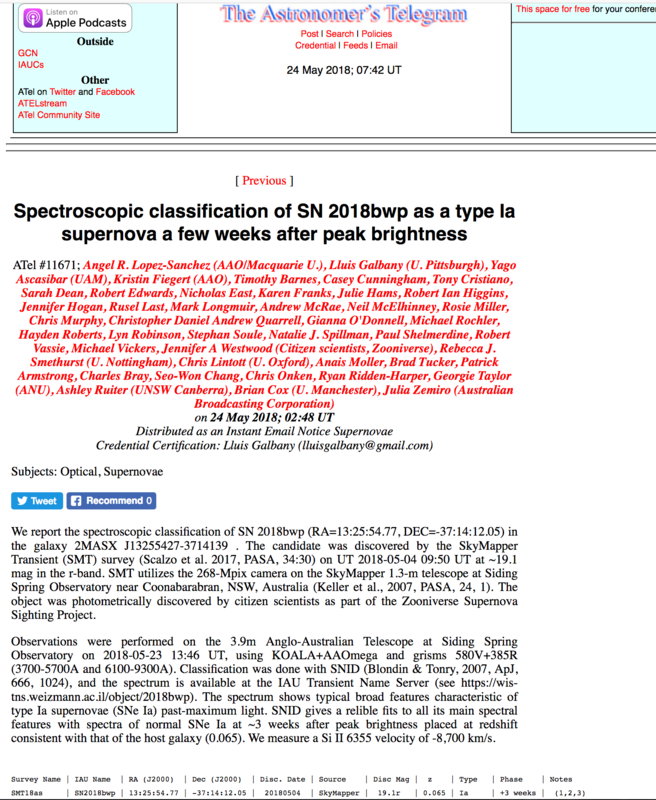 Article originally written by Ángel R. López-Sánchez for the “AAO Observer” 132, August 2017. Credits of all the photos: Ángel R. López-Sánchez. 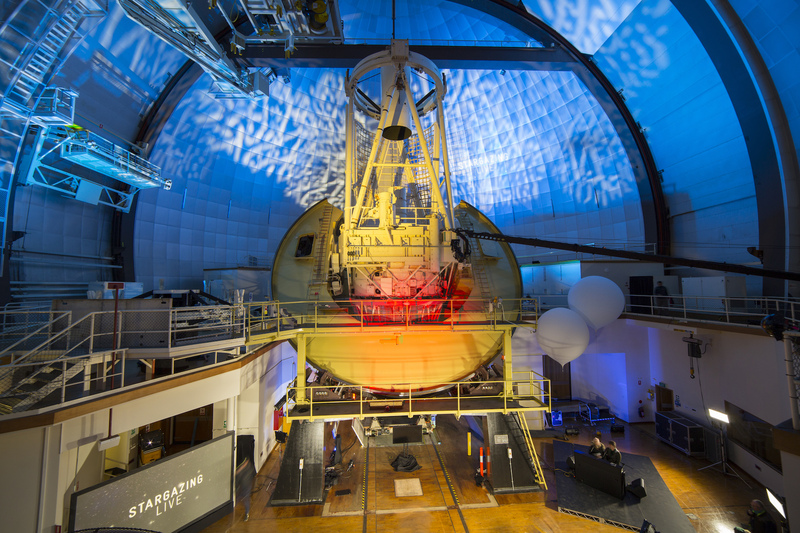 Colorful lights in dome of our Anglo-Australian Telescope in preparation for the Stargazing Live TV shows. 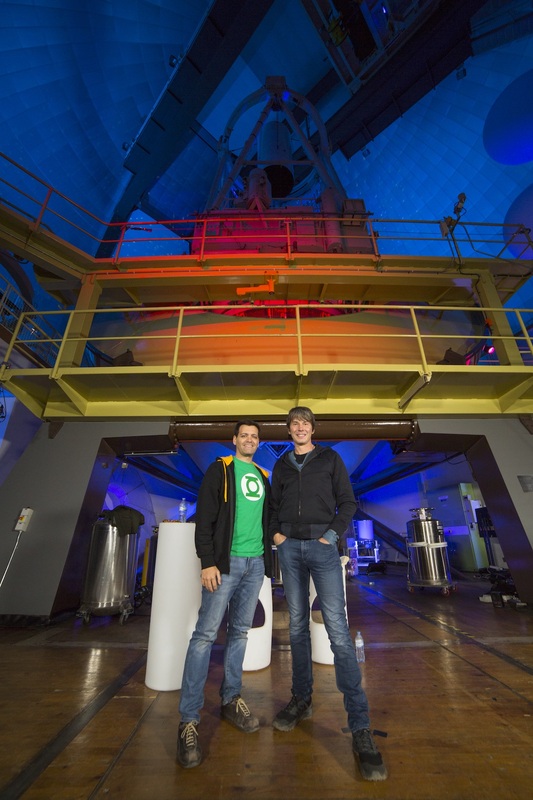 During two weeks in late March and early April 2017, famous physicist and TV presenter Professor Brian Cox co-hosted two “Stargazing TV” shows emitted live from Siding Spring Observatory in the BBC and in the ABC. 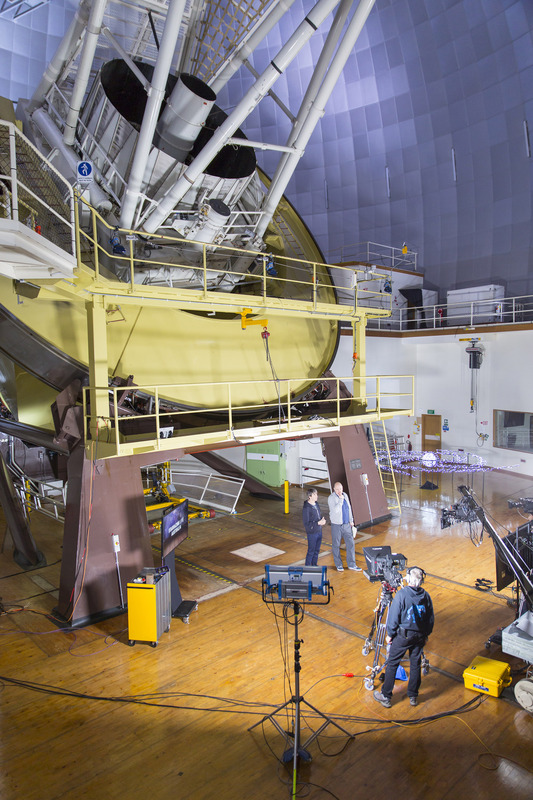 The stage of these major TV events was our Anglo-Australian Telescope, (AAT) at Siding Spring Observatory, on the edge of the Warrumbungle National Park near Coonabarabran, NSW. 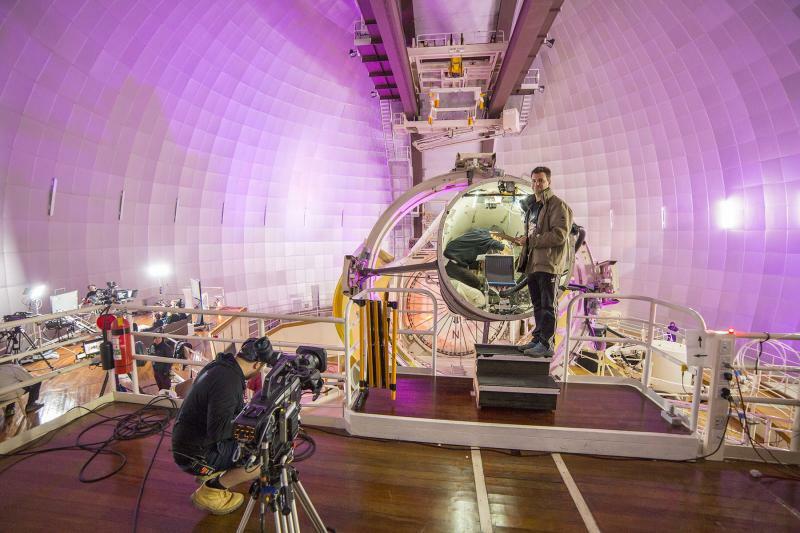 BBC Stargazing Live shows at Siding Spring Observatory were emitted on the early morning of Wednesday 29th, Thursday 30th and Friday 31st March 2017 (evenings of the previous days in the UK). 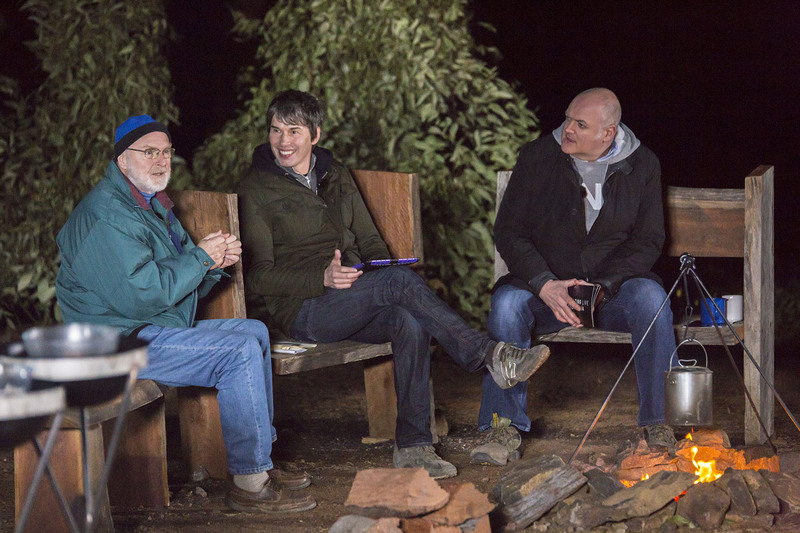 BBC Stargazing Live TV shows were hosted by Professor Brian Cox and TV presenter and comedian Dara Ó Briain, with the participation of biologist and BBC presenter Liz Bonnin and Broome-based amateur astronomer Greg Quicke (who was very popular in social media, receiving the nickname of #SpaceGandalf). During BBC Stargazing Live astrophysicist and science communicator Lisa Harvey-Smith (CSIRO) was also interviewed. 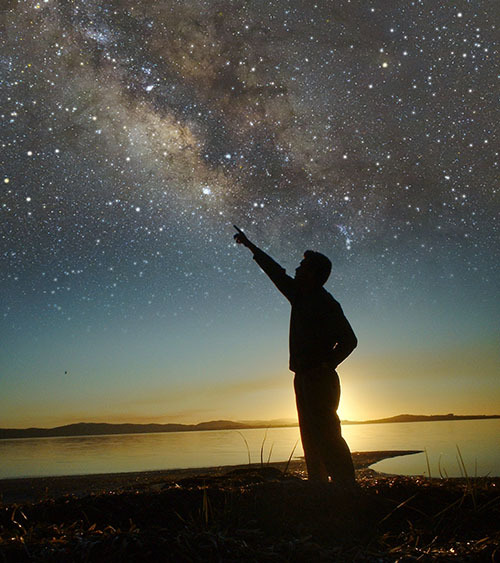 Astronomer and journalist Chris Lintott (Oxford University) was in charge of reporting the news of the citizen science project “The Search for Planet 9“, led by astronomers at the Australian National University and launched in the first episode of BBC Stargazing Live. 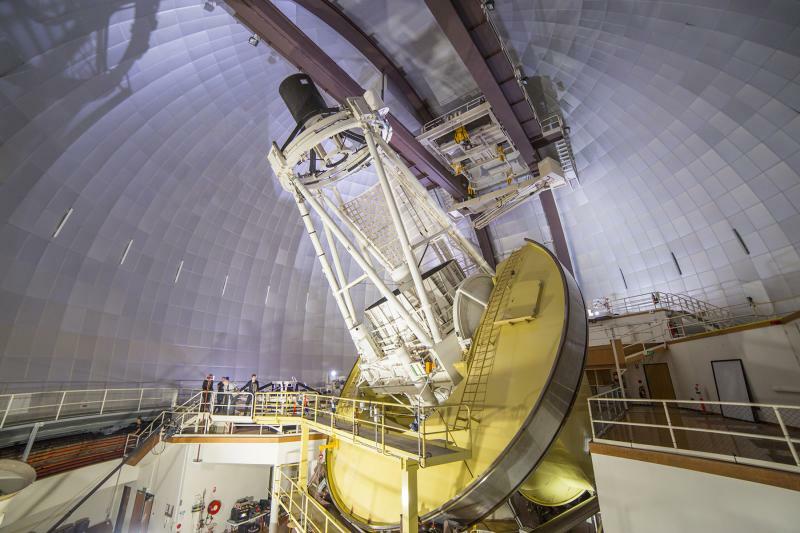 This citizen science project uses images taken with the Skymapper telescope at Siding Spring Observatory to search for a new planet in our Solar System. 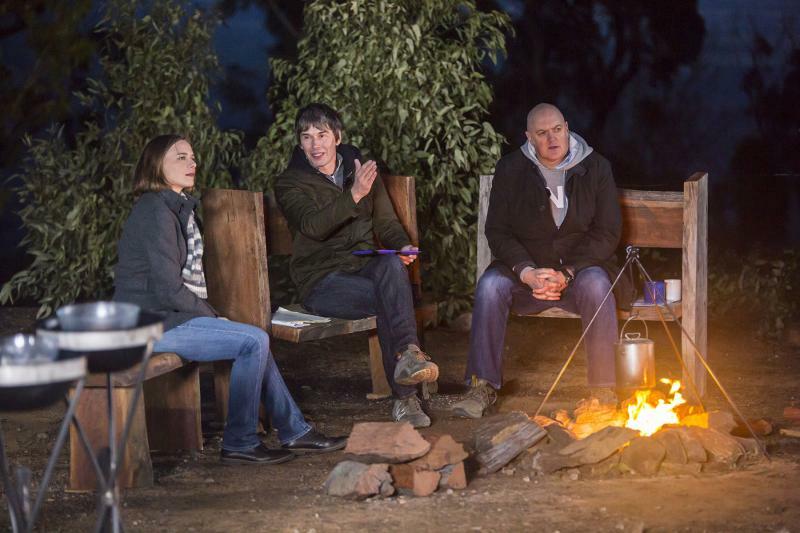 #StargazingABC live episodes were emitted the following week (Tuesday 4th, Wednesday 5th and Thursday 6th April 2017). 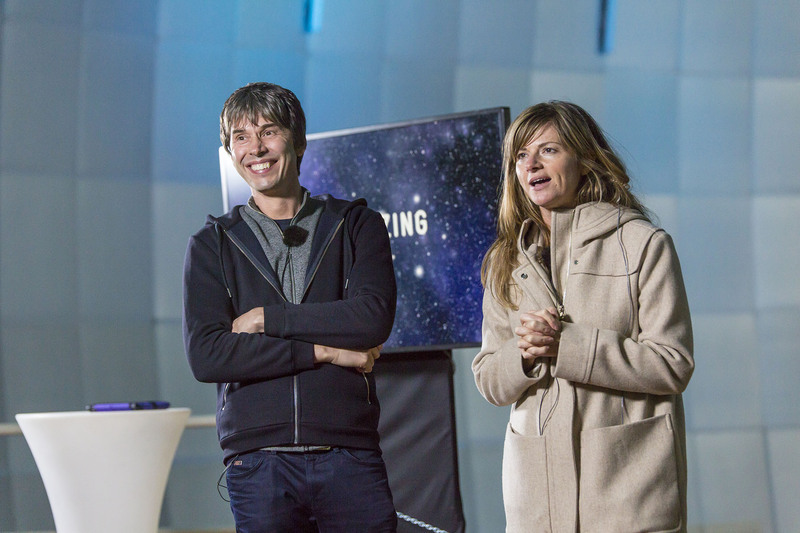 Hosts Professor Brian Cox and TV presenter Julia Zemiro were joined by astronomers to inspire Australia to explore our Universe and tackle astronomy’s most intriguing questions. Astronomer Lisa Harvey-Smith (CSIRO) also participated as TV presenter for the #StargazingABC shows. 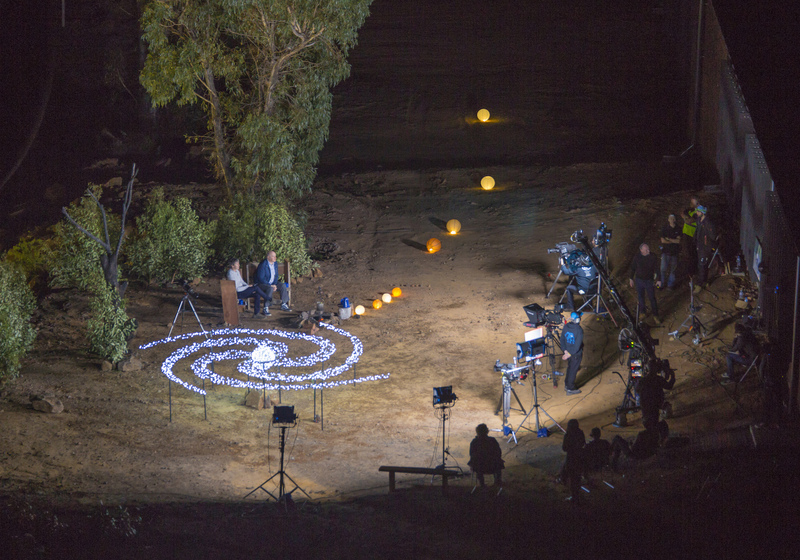 AAO’s Fred Watson, Steve Lee and David Malin were interviewed several times during the ABC and BBC Stargazing Live shows. 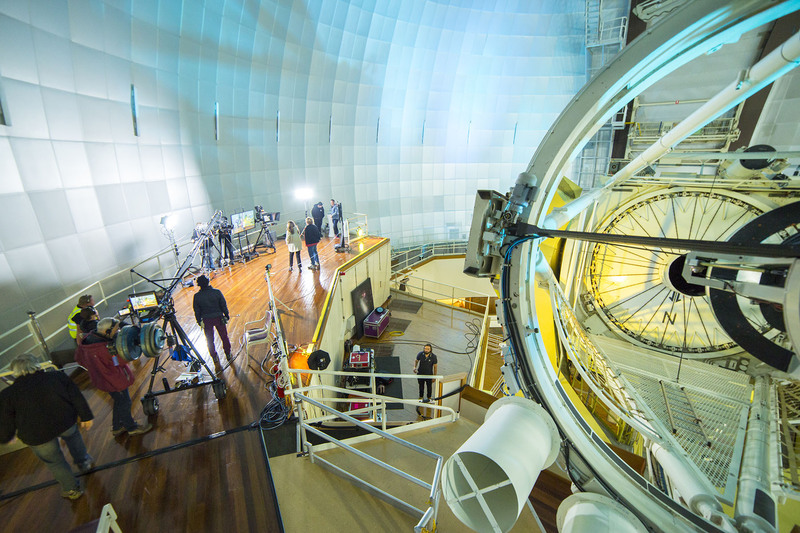 SAMI observers at the Anglo-Australian Telescope shared the dome with ABC crew while preparing instrument and telescope for observations on the afternoon of Sunday 2nd April. 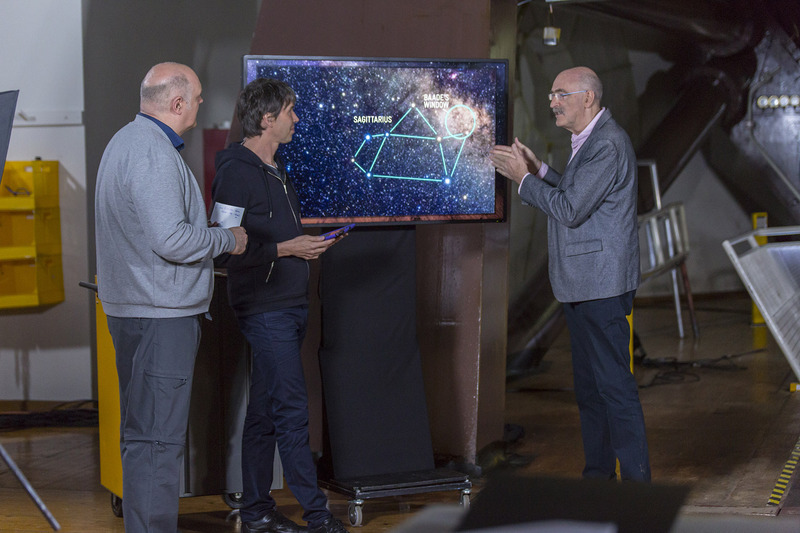 For #StargazingABC first episode, the Milky Way, AAO astronomers Ángel López-Sánchez and Steve Lee prepared a new astronomical color image using data taken with the CACTI auxiliary camera of the AAT, which was broadcasted in the episode. 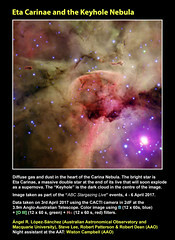 This image shows Diffuse gas and dust in the heart of the Carina Nebula. 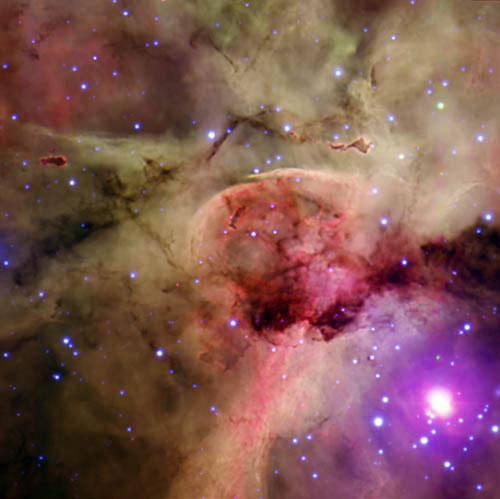 The bright star is Eta Carinae, a massive double star at the end of its live that will soon explode as a supernova. The “Keyhole” is the dark cloud in the centre of the image. 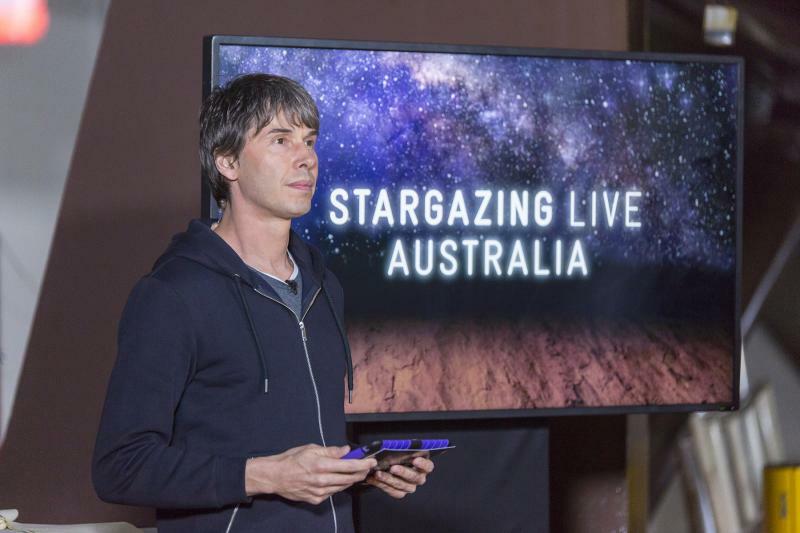 Both Stargazing Live ABC events were very successful. 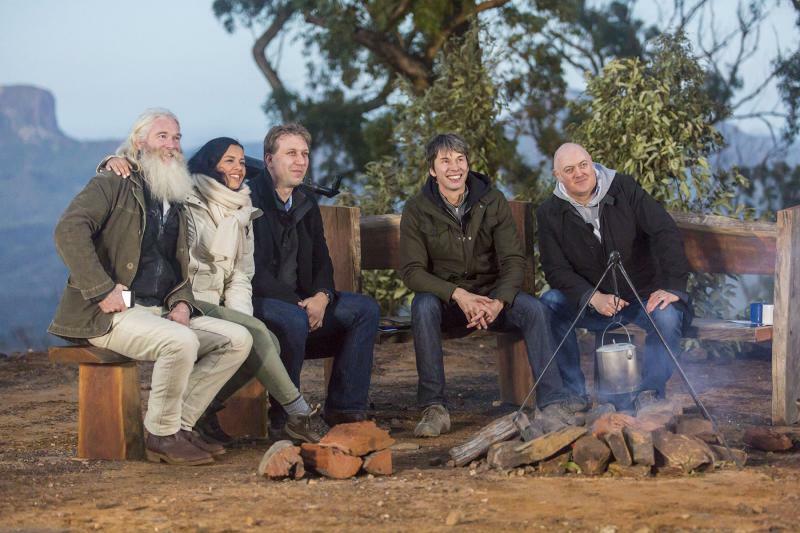 #StargazingABC live episodes reached 2.7 million viewers across metro and regional Australia. They also had a huge impact in social media. ABC 1st TV episode reached over 240K people and had more than 8K reactions in Facebook, comments and shares, similar numbers to those obtained with ABC TV’s New Year’s Eve Family Fireworks stream. Regarding Twitter, the #StargazingABC hashtag reached 18.4 million users and produced 16.8K tweets from 6.3K unique contributors. 12.8K of these tweets were produced during the broadcasts, making #StargazingABC trend no.1 in Australia. Credits of all the photos: Ángel R. López-Sánchez. 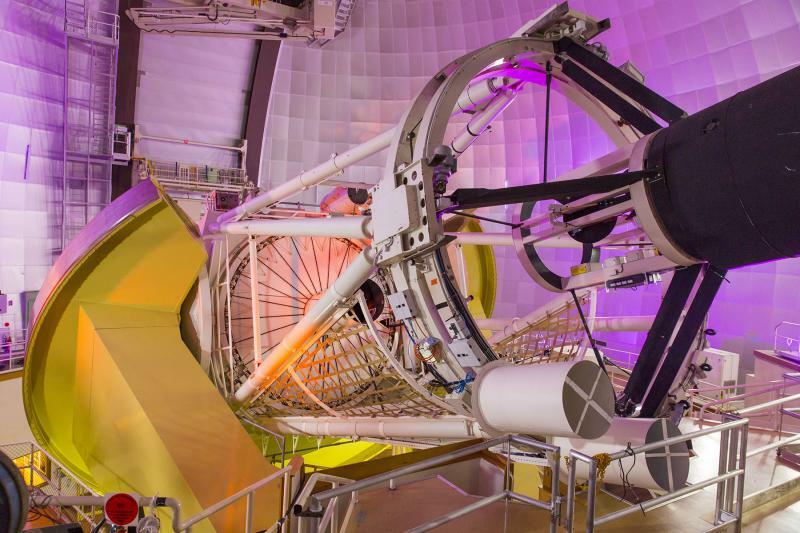 More information: AAO news: ABC Stargazing Live at the AAT. 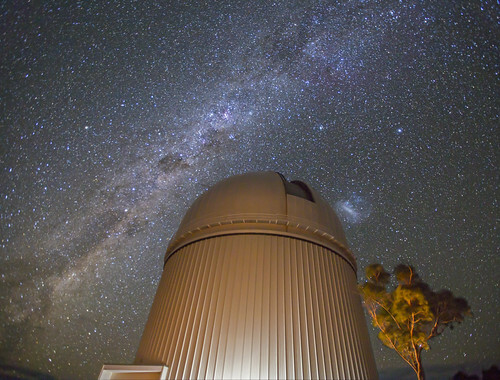 Milky Way, Large Magellanic Cloud, and Anglo-Australian Telescope. Combination of. 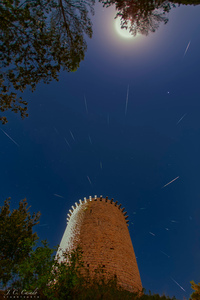 6 frames, each of 30 seconds, CANON EOS 5D Mark III, 16mm, f/2.8, ISO 1600. Thursday 2 March 2017. 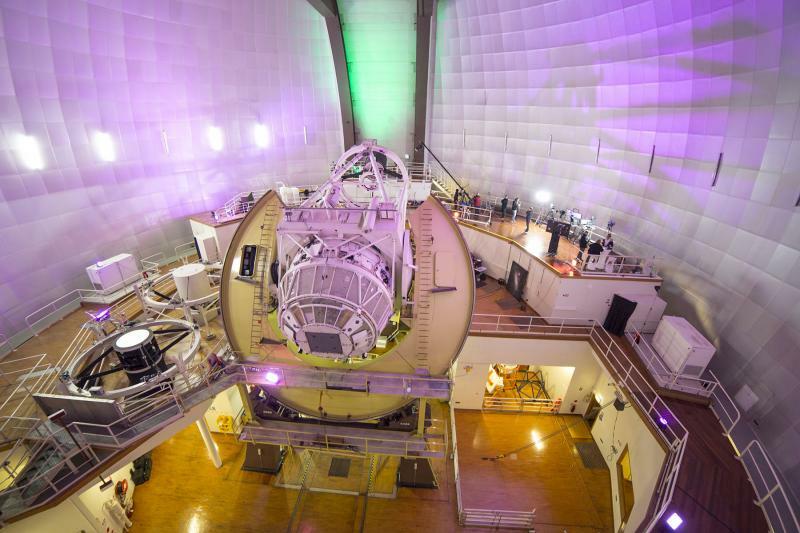 The dome was illuminated in one of the frames by a car leaving the building. More sizes and high-resolution image in my Flickr. Credit: Ángel R. López-Sánchez (AAO/MQU). The Anglo-Australian Telescope (AAT, Siding Spring Observatory, NSW, Australia) is ready for another night observing with the SAMI instrument. 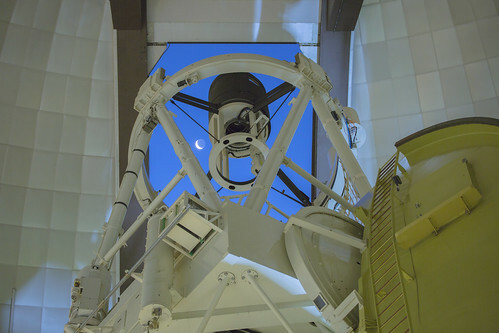 A crescent Moon is seen towards the west through the opening of the dome. Photo taken using a CANON EOS 5D Mark III, 0.6 seconds integration, 70mm lens at f2.8, 400 ISO, Thursday 2nd March 2017, 8pm AEST. More sizes, including highest resolution image, in my Flickr.